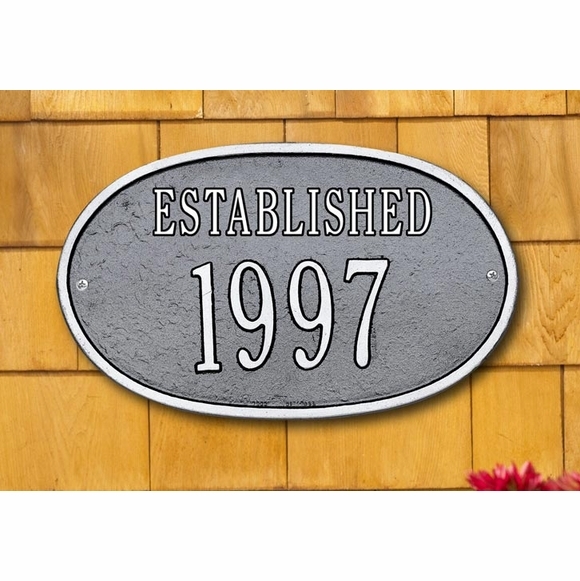 ESTABLISHED Sign - - historic year plaque. Personalized with the year you specify. Made in USA. 12.5" x 7.5" oval sign shows the year in which a business, school, family, or other institution was established. Holds four 3" numbers under the word ESTABLISHED. You can also purchase this historic marker with the word FOUNDED, BUILT, or CIRCA (see Related Products).